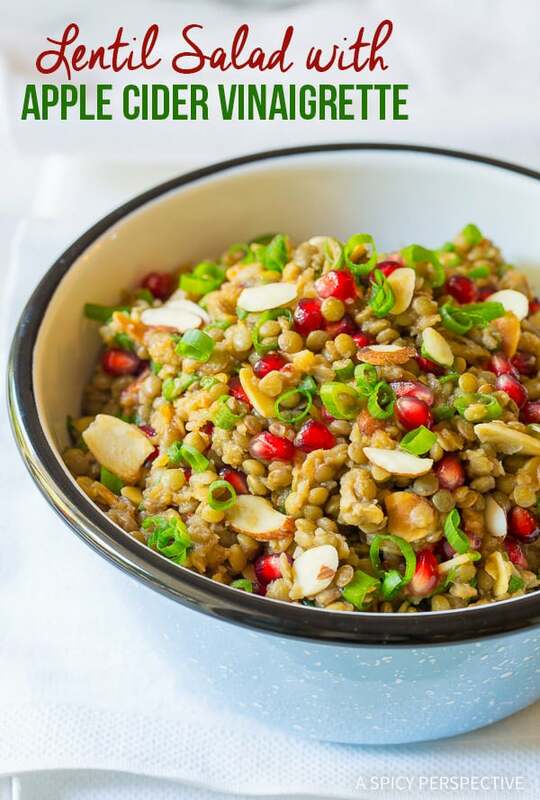 We’re crazy over this healthy, perky Lentil Salad with Apple Cider Vinaigrette. It’s easy to make and easy to love! 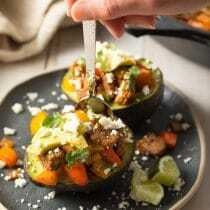 Looking for some creative side dishes for Thanksgiving? I’ve got you covered. Along with your holiday stuffing and sweet potatoes, why not serve lentils this year? A hearty lentil salad might not be the first things you think of for Thanksgiving dinner. Yet this perky savory-sweet Lentil Salad with Apple Cider Vinaigrette is not only delicious, it’s a fabulous make-ahead dish for fall. 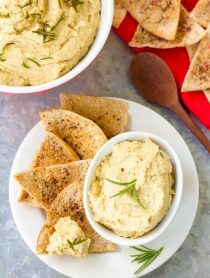 For holiday meals, I like to sneak in a few healthy dishes to offset the heavy fat and carb-loaded traditional recipes. 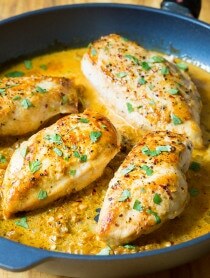 The trick to give these healthy recipes any chance of being consumed, when up against mashed potatoes and gravy, is to make sure they offer just as much flavor, texture, and visual appeal. This Lentil Salad with Apple Cider Vinaigrette is my dark horse contender this year, because it’s vibrant and perky with a punch of tangy flavor from the cider dressing. 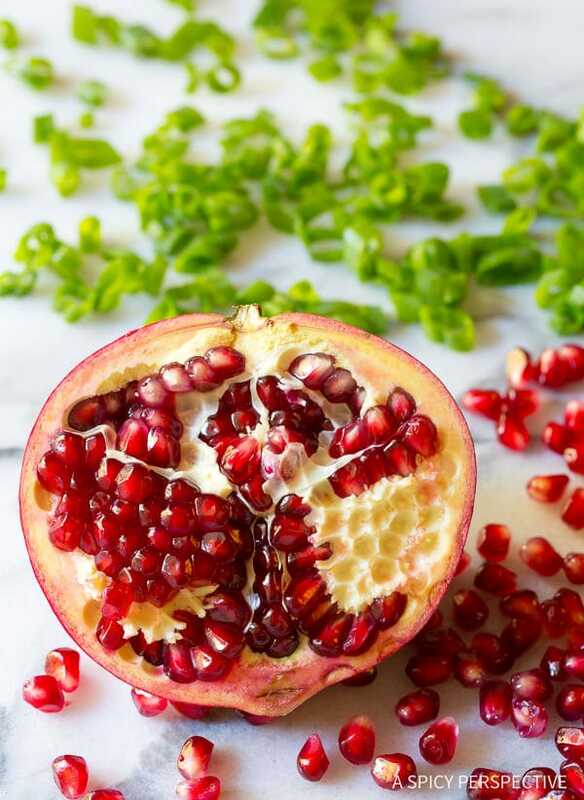 The lentils are rich, filling, and provide a hearty texture, while the pomegranate arils offer sweetness and pop. With a sprinkle of fresh chopped scallions and toasted almonds for crunch, this salad is worthy of sitting on any holiday table. You can assemble the salad and the apple cider vinaigrette 2-3 days ahead. Just make sure to add the dressing only 1 hour before serving so it doesn’t soften the nuts. Actually, I like keeping this Lentil Salad with Apple Cider Vinaigrette around all fall as an easy healthy side dish or a quick vegetarian main course! 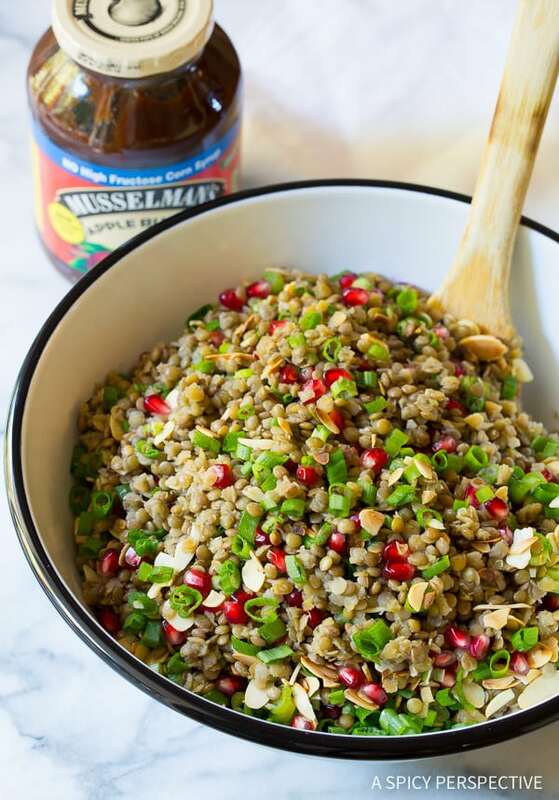 The secret ingredient that pulls all the flavors of this Lentil Salad with Apple Cider Vinaigrette together is Musselman’s Apple Butter! I added Musselman’s Apple Butter (now made without High Fructose Corn Syrup) to the Apple Cider Vinaigrette to offset the tangy bite of the vinegar and provide depth and intrigue. The apple butter gives the vinaigrette a silky texture and helps the dressing coat all the components of the salad. 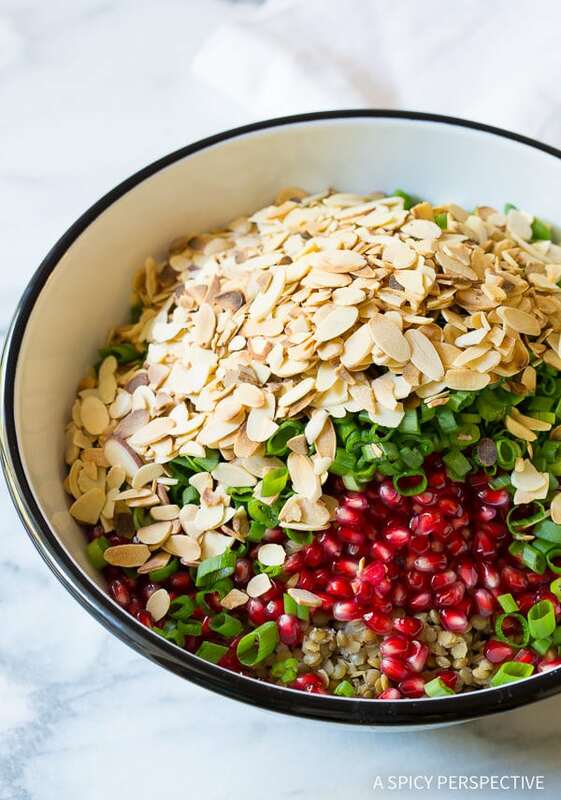 Our Lentil Salad with Apple Cider Vinaigrette is packed with protein and fresh ingredients, plus it’s naturally gluten free to help you cater to your dinner guests. A green salad might get overshadowed at Thanksgiving dinner, but this lentil salad? Never. 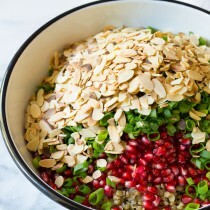 Zippy Lentil Salad with Apple Cider Vinaigrette, made with pomegranate, toasted almonds, scallions, and rich tangy apple cider dressing. Pour the vegetable broth into a large stockpot. Bring to a boil. Add the dried lentils and garlic. Stir and lower the temperature to medium-low. Simmer for approximately 20 minutes, until firm, but cooked through. Drain off any excess broth and pour the lentils into a large salad bowl. 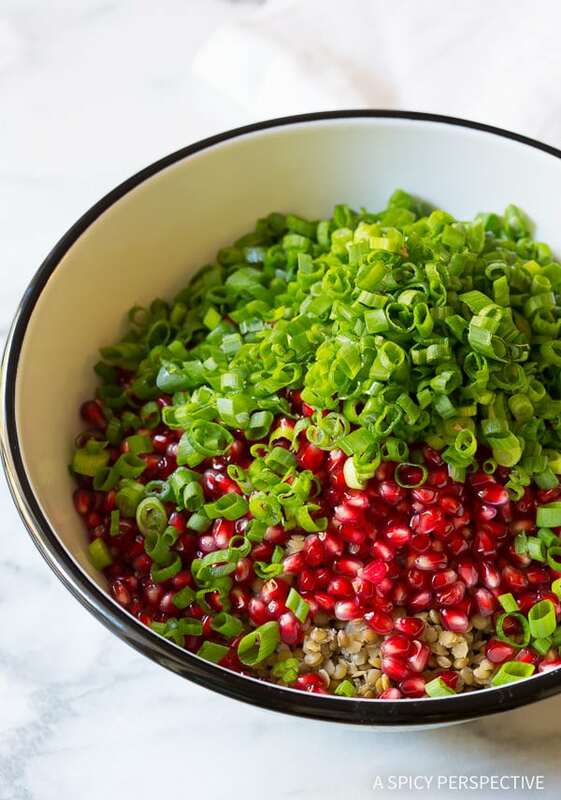 Once the lentils are mostly cooled, add the pomegranate arils, toasted almonds, and chopped green onions. 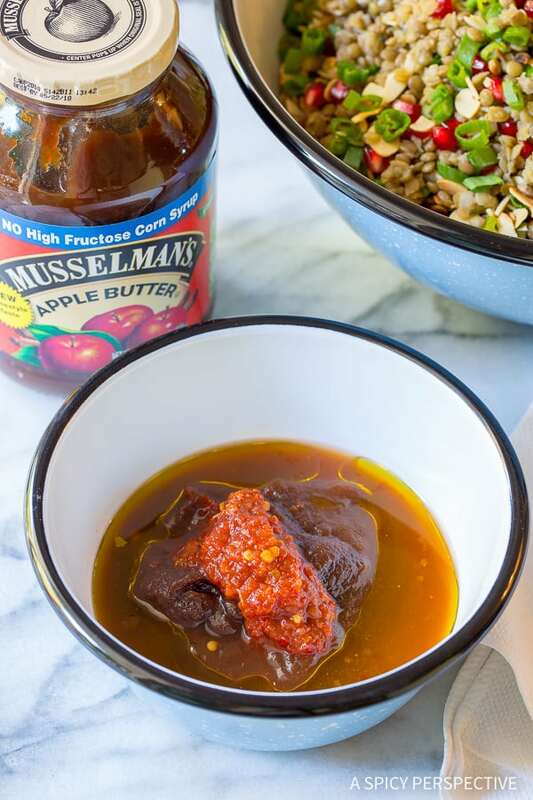 In a small bowl, measure the Musselman’s Apple Butter, apple cider vinaigrette, oil, and sriracha. Whisk until smooth, then salt and pepper to taste. Pour the dressing over the lentil salad and toss to coat. Serve at room temperature or cold. What a great and hearty salad even on non-Thanksgiving days. 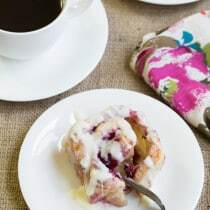 Great way to use apple butter too! What an awesome looking salad! 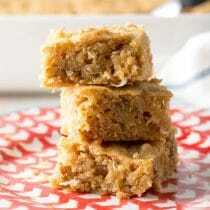 I LOVE that you used apple butter in this recipe. 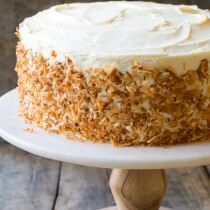 It’s perfection! this should be a side dish on everyones table! What a beautiful Holiday salad! This salad looks so healthy & delicious! I adore apple cider and love that you added it to your vinaigrette. This salad is gorgeous! 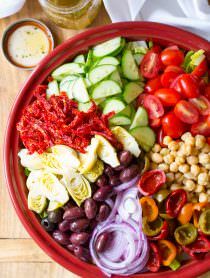 I adore apple cider and love that you added it this gorgeous salad! Wow! That’s so pretty! Pinned and saved for next week! What a beautiful salad!!! Love this!